It contains the fruits of several years of jams between the three of us. I’ve not heard anything quite like it — it sounds ‘live’ and ‘alien’ at the same time. Some things have been permitted to survive, which only Brian would have had the courage to let go, and it’s so much the better for it. (Via tinymixtapes, which also lends the live video of the trio below. 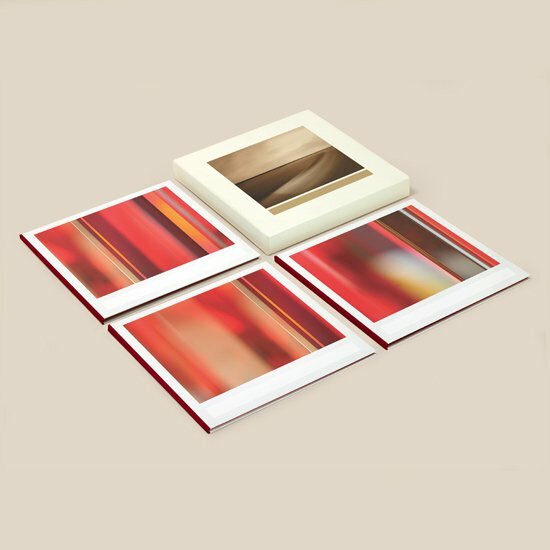 The release also comes wrapped in some evocative artworks by Eno himself, including the dune-like, oceanic long exposure image seen on the cover. All in all, that seems there’s reason to look forward to the November 2 (November 15 UK) release date, as we get to hear the product of these three musical imaginations. Preorders, from digital to various collectors’ editions, start Wednesday of this week.